Avid readers of your soaraway Shoot Up will dimly recall that everyone’s second favourite pump manufacturer Medtronic flew me to sunny Lausanne last year to talk about diabetes-related stuff with other European bloggers. Obviously my defamatory comments about Medtronic delighting in drowning puppies (that is, after all, what Big Pharma loves doing) in my write up of said event didn’t put them off inviting me again. They’ve also seen fit to invite m’colleague Alison out there too. Alison has been out to visit Medtronic before, so they do know what they’re in for. Again, you would have thought they would have learnt their lesson. Ours is not to reason why. Anyway, that aside, as your unelected, self-appointed diabetes representatives please do let us know if there’s anything in particular you would like us to bring up while we’re there. If you use Medtronic stuff then what do you love about it? What do you hate about it? 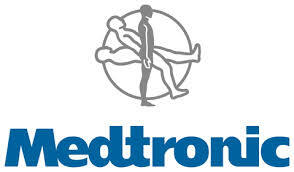 What do you think Medtronic does well? What do you think makes them rubbish? What would you like to see in the next generation pumps? More generally are there any other questions you want answered? Why are pumps so expensive? What can Big Pharma do to raise awareness of diabetes issues? What can the industry do to lobby the NHS to provide CGMS (if, indeed they should)? Why do they drown so many innocent puppies for no reason? So let us know – either in the comments below or by emailing us at tim / alison @shootuporputup.co.uk. PS: Don’t get too fond of the puppies! 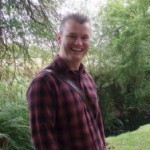 @Teloz – we do spend quite a lot of time in a room in a building on a light industrial estate. It’s not *that* glamorous, so don’t be jealous! I’m a new member to this blog and very glad I found it. I write my own blog which I started last year when I nervously plugged in my pump for the first time. I have also been invited to the Medtronic forum and have no idea what to expect! I guess I’ll see you there! @annamacThe Medtronic forum is very interesting and the informal chats around dinner, etc., are – as is so often the case – the best bit. Anyway, look forward to meeting you! @annamac – …and remind us of your blog’s URL too! Will concur with what @tim said, the informal gathering is the best part usually a plentiful dose of cuisine and beverages to suit all tastes. @teloz we will see if we can get some photographic evidence of the puppies.. I think they get to try out the latest pacemakers! I would like to know the answer to the question: Do the Minimed CBG sensors leave part of their membrane polymer in the skin like the Freestyle Navigator sensors. I can’t find any info about this and it worries me. How far off are they from integrating the CGMS sensor and the pump cannula? I like the idea of a literal ‘one hit’ wonder! Why has Lesley’s comment appeared all the way up there? That’s confusing! @Lizz – if you hit “Reply” next to a comment it puts your reply beside that comment rather than at the bottom of the page. It should indent replies to make it obvious it’s a reply, but it doesn’t work properly and I’ve never bothered sorting it out. Oops! I went and got all busy! See you soon. Big love! Alison and I are going to attempt to keep you updated on this Medtronic milarky by tweeting over the weekend. You can follow us on twitter directly here http://twitter.com/#!/shootuporputup or failing that I’ve put a feed on the right hand navigation bar which should update from time to time. Alison is currently trying to work out how to tweet. My technological expertise and interest is generally focussed around pumps and CGM. Twittering via mobile is a whole different world! Okay, there might be more tweets from me than from Alison! If anyone can explain how to tweet (simply, in words of one syllable, max two) or even READ someone’s tweets, I’d be thrilled. I count myself as pretty computer savvy but tweeting has foxed me. My sympathy Alison. there may also be some tweets from me @elgringoinspain.. if I do, I will CC in @shootuporputup so all can see. Perhaps a #shootup hashtag? All of your questions Tim! Just ask, ask, ask and have a good weekend!